I’m not perfect, far from it and I’m okay with that. I have never been in pursuit of perfection. I have instead always reveled in mediocrity. Yet, certain things, when I fail to accomplish them, can send me into a guilt and shame spiral. I feel stupid, lazy, or worse condemned. For many of us, there are those few things in our Christian walk that can cause us to feel inadequate, guilty, or less-than. However, I discovered that there are reasons why I stumble into sin and it’s those reasons that prevent me from finding freedom. But, there is something I can do about it, if I’m willing to play a little game. There are things that can bring me a feeling of guilt in the day, worse than eating 2 Krispy Kremes (okay, whom I kiddin’? Try like 3 donuts) including yelling at my kids. There, I said it. Some days, on my bad days, I have been known to yell at my kids. I always feel like the biggest slimy shame-ball. Oh, I beat myself up. I ask for forgiveness from the Lord 3,4, even 5 times. I ask my kids for their forgiveness. I feel lke the worst mom on the planet and I wonder often why that pattern has been so difficult to break. Granted, I grew up in a house full of yelling…screaming even. However, that is not an excuse for my sin, but I recognize why it is so easy for me to slip into this pattern. After months of pleading with God to just take the urge to yell away, my husband gave me some great insight. He told me that I yelled only under certain circumstances, like when I don’t feel well (which with my health stuff can be often) or when I am tired ( and considering I sometimes border on insomnia that can be often too). So, I decided I needed to take this information and use it. God wasn’t just going to wash this one away for me. I am responsible for my attitude and more than that, I am responsible for taking care of myself so that those around me don’t suffer. I’m still not perfect, but I try to rest more–go to bed earlier even though I hate it. I have stuck with being gluten-free because it makes me feel so much better. I am more proactive about not sinning. I know a guy who uses a red light, yellow light, green light gauge. For example, if something is a “green light”, it causes no temptation in him and he is able to proceed in that behavior or activity. If something is a “yellow light”, then he needs to pause because that activity or behavior is tempting and temptation can lead to sin. “Yellow light” means slow down and return to a “green light” status. Finally, “red light” means stop. “Red light” means you are in sin. Stop where you are, repent, and return to green light. Yeah, I admit, it sounds a little like a childhood game played on the playground, but it works. Point is, there are always circumstances that bring us into temptation and then if we are not careful, sin. Knowing them and doing something about them is where getting free, begins. What are a couple of areas you struggle in? What are the triggers for your sin? How can you prevent them? 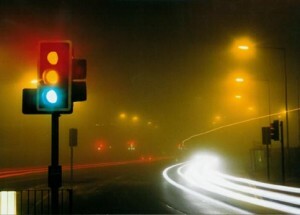 What is your “yellow light”? I struggle with pride (oh noes) and lust (ugh!) among other things. What has always helped me is having a few friends that always keep me honest. I also have taken on the art of memorizing scripture. When temptation comes a knocking, I’ll use the word to send it packing (that was supposed to rhyme). It’s easy to fall into temptation. It’s critical that we find the way out, figure out what those triggers are, and how we can overcome that temptation. That’s the key to a successful Christian life. im a yeller too. i’ve tried to curb that bad habit (coz i grew up in a house full of yellers too).. and every time i find myself yelling at my son… i stop that instant and tell him im sorry. he understands that this single mama is stressed from time to time, so when i tell him im having a bad day, he knows to give me space. i struggle massively with pride. Thing is, i don’t realse it until i’m right in the middle of being proud. and then it feels like it’s too late. lust is the same too. except i always know it’s wrong and then have to have a long shower in hopes of feeling like i’m not drenched in my own crap. Here’s a trick I’ve taught Christians, right out of Romans chapter 6. Paul tells us to “consider yourselves to be dead to sin” Think about how often a corpse in a coffin commits sin. Even if presented with strong temptations, the body is not going to jump up to engage in any sin. When I face temptation, I “assume the position” of a corpse in a coffin (mentally). My arms are crossed and there is a lily on top of my chest. My eyes are closed and nothing can rouse me. No matter what the temptation, I tell it, “Sorry, I’m dead. Nothing I can do for you.” It’s amazing how much power there is in this little trick. We have truly died to sin, according to Paul; now we just have to live in that reality. interesting how your husband told you when you tend to yell – when you aren’t feeling well or are tired. my husband says i lose my patience with both him and our kids when i’m hungry, and he is so right! i anger very easily when i’m hungry. recognizing that helps me go take care of myself so that i don’t take it out on my family. oh, and i like that dead to sin corpse imagery idea. i’ve gotta try that one. Girl you know I love this one!